After my talk in Raleigh (May 19th), a woman named Lydia introduced herself to me (and purchased several of my books!). She said that she had family members living in a fine Sears House in Chapel Hill. That was puzzling, because I had driven through Chapel Hill the day before, and I had only seen Aladdin kit homes, no Sears. However, while in Chapel Hill, I’d become flustered by the vast amounts of pedestrian traffic (and non-thinking students stepping off curbs right in front of vehicles) and the trees: Massive, leafy, bushy, house-obstructing trees. Within 30 minutes of arriving into Chapel Hill, I abandoned my search and returned to my hotel in Raleigh. Had I missed a Sears House in Chapel Hill? It was a distinct possibility. Soon after I arrived back home to Norfolk, Lydia contacted me and emailed a photo of this fine Sears House in Chapel Hill. The photo she emailed was a beautiful Sears Ardara. I’ve not seen many Ardaras in my travels. In fact, I’ve only seen four: One in Zanesville, Ohio, two in Elgin, Illinois and one in Crystal Lake, Illinois. And soon, I hope to visit this Ardara in Chapel Hill! To read about Buster Keaton’s kit house, click here. 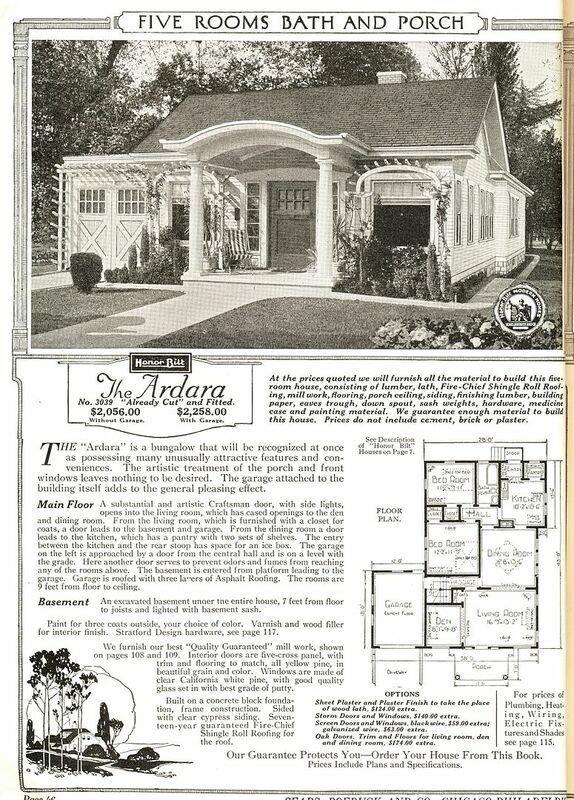 The Ardara first appeared in the 1921 Sears Modern Homes catalog. 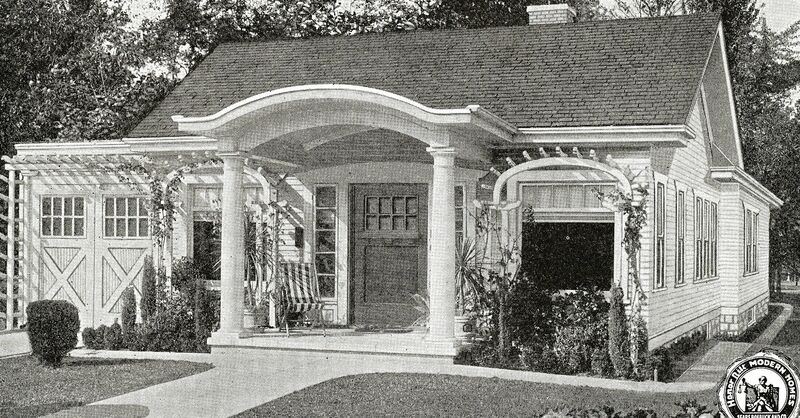 In both the 1921 and 1928 catalogs, it was offered with and without the attached garage. This is from the 1928 catalog, and if you compare it with the image above, you'll see the price actually had dropped by 1928. This is one of my favorite descriptions (taken from the 1928 catalog). 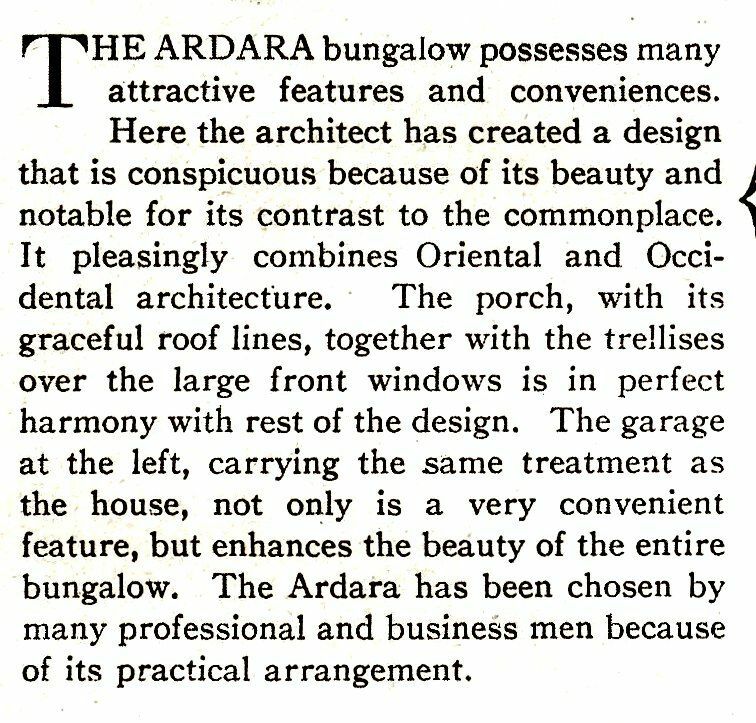 The Ardara is "notable for its contrast to the commonplace...pleasingly combines Oriental and Occidental architecture." And the garage has "the same treatment as the house." Awesome! Notice that it has a "Music Room." In the 1921 version, this room was identified as a den. In 1928, this could have a couple meanings. 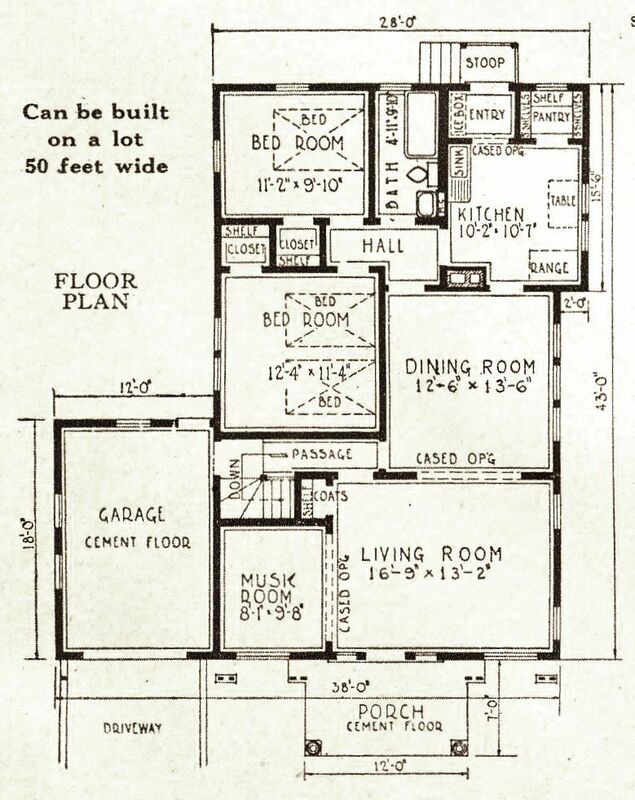 The phonograph and the radio were all the rage in the late 1920s, and in some of these old floorplans, you'll see this identified as a "radio room," or "space for phonograph." Or it might have been a designated space for the family piano. In this time period, it was expected that most people would own a piano. 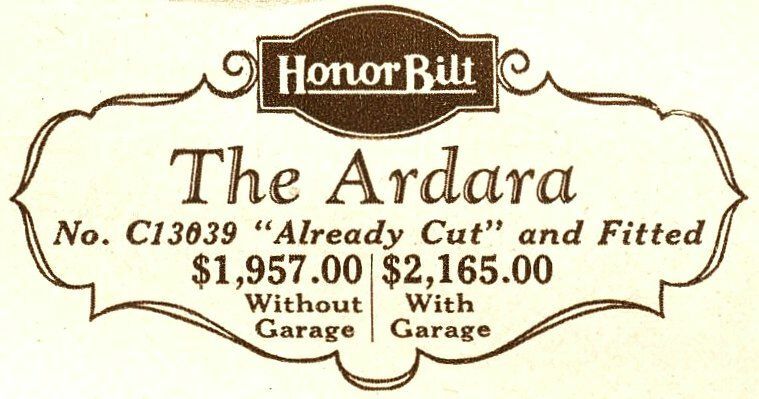 The Ardara, as seen in the 1921 catalog. An Ardara in Crystal Lake, IL. To learn more about what I found in Chapel Hill, click here. Look at the abundance of Sears Homes I found in Raleigh, NC. 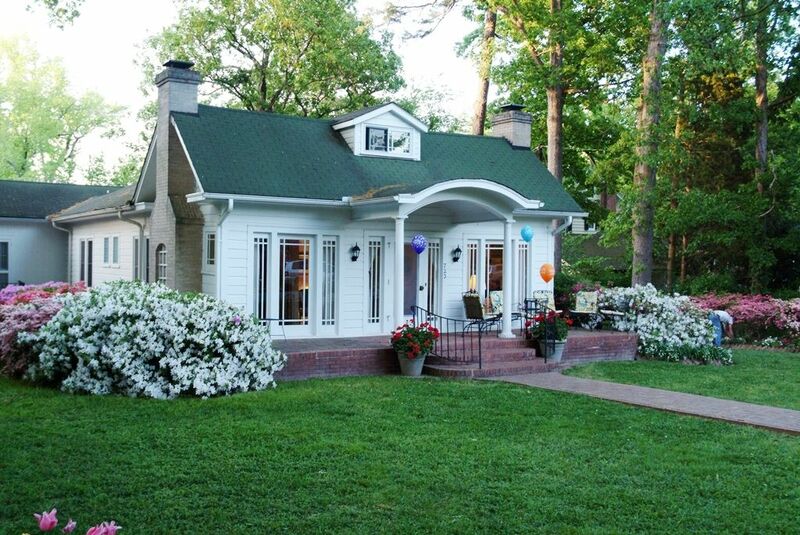 Oh my, but the one in Chapel Hill is absolutely gorgeous. It looks inviting, warm and well cared for and loved. In back of my home is, what I believe to be, a Sears home, Model: Alhambra. It is a large home, very stylish. It was shipped by rail car for a Mr. Schamber who owned all of the land hereabout, and planted hundreds of apple trees. I believe he put it up in 1929. I can send photos. The house was assembled in 1922 and belonged to my great great uncle Frank Chyle, who also owned and operated the neighboring Texaco station. I’ve never been inside, but I’ve heard there used to be a display with pictures of the original home. 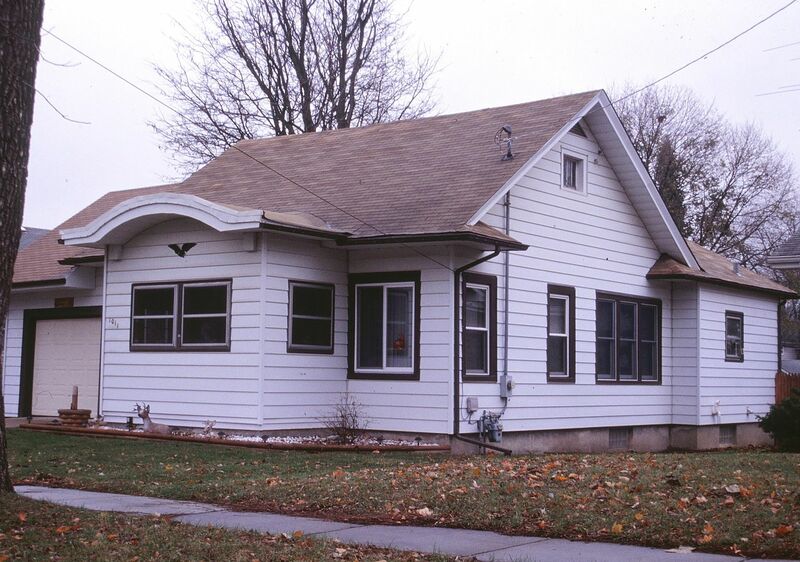 Apparently the interior of this home differed from the standard Ardara design, because Sears Roebuck inadvertently sent parts of two different homes. However, from the outside, it looks very much like the illustration in the catalog. 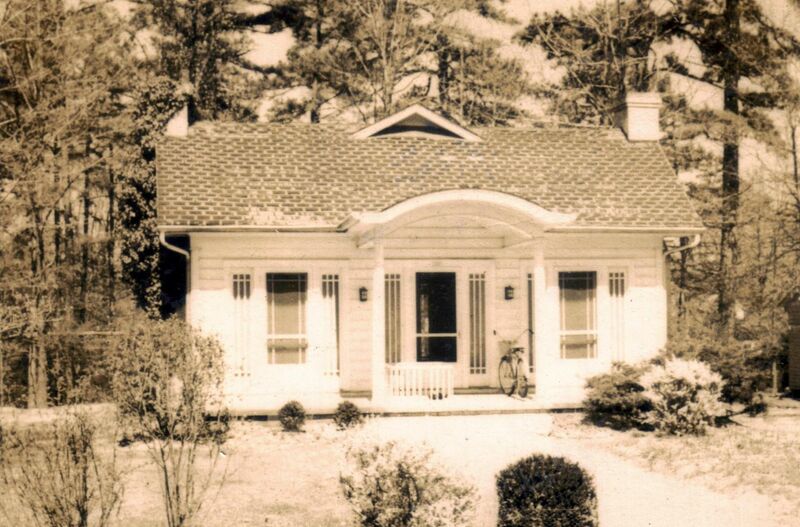 My folks bought an Ardara in Summit NJ in 1952 and lived there until their passing in 2009. Early on, they raised a dormer to sleep their boys. This 2009 photo is of the seven sons (shown below). The garage was built in back rather than on the side, a staircase to the second floor was cobbled off of the “Music” room, one doorway between the kitchen and dining room was closed up, and the pantry was absorbed into the kitchen. Aside from these alterations, the layout is a perfect match. Thanks for your work on the Sears Homes. I’ll be sharing the blog with my siblings. I live in the Ardara in Crystal Lake, with a reverse floor plan. I have seen the one in Elgin and tried to contact the owner about 10 years back with no reply. My Ardara is close to original. The door to the hall from the dining room was made into a linen closet, and the door from the living room to the side door passage was converted to a bookshelf. Both the kitchen and bath have been remodeled but I still have some of the original cabinetry from the entrance where the Ice box was and the pantry. I have found some of the stamps on the joists. As of the start of this year, I have bought my first home. After some renovations its become clear to me that my house is The Ardara, and is located in West Wyoming, Pennsylvania nearby the state park. I am very pleased to know that I now own a piece of history! What an interesting Ardara in Chapel Hill! Check out those chimney placements, evidently there’s a fireplace smack dab in the middle of the music room and stairs. How puzzling. I wonder how they did that with a already cut and fitted kit? I hope Lydia sees this post. 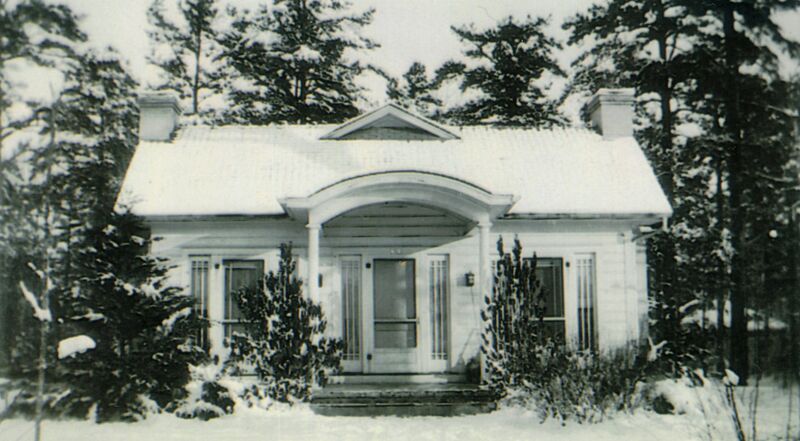 Ypsilanti has lots of mail-order homes from Sears and Aladdin and Wardway, but it also has lots of other nice historic and interesting homes! 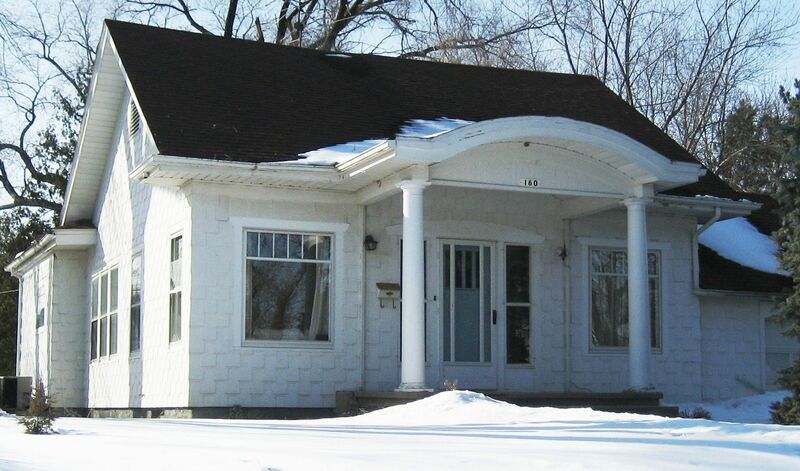 That Ainsworth neighborhood is known for kit homes, and I think you might be looking at 200 Middle Drive, which looks like a Dover. Not everyone is meant to live in an old house, spending their weekends cleaning out old insulation so they can rewire the kitchen lights like me!